In an article about the U.S. Court of Appeals for the Second Circuit decision to uphold a lower-court decision to dismiss suits brought by Bernard Madoff's investors against the SEC for failing to uncover his massive Ponzi scheme. It is noted that Herrick, Feinstein LLP represented a group of investors in the suit. 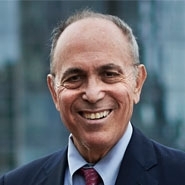 Partner Howard Elisofon is quoted saying, "We believe that our clients were wronged (both by Madoff and the SEC), and their rights needed to be vindicated. We recognized that challenging the SEC would be difficult, but this was a case that needed to be fought."